You are here: Home / (Social) Network Analysis / Lil Wayne and the Facebook breast cancer meme. Another chapter in the “like if you hate cancer” story. Interestingly, user posts on Lil Wayne’s Page don’t seem to be visible to other fans; so did the initial impetus for this post come from Lilquan’s own social graph? I did a little more digging. 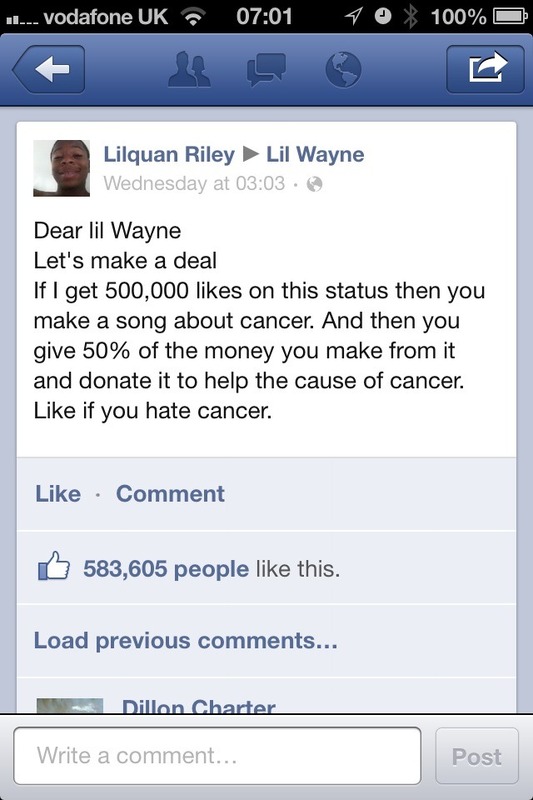 As I might have suspected (given what I’d already seen of this meme on Coca Cola’s Page) Lilquan wasn’t the only user to spam Lil Wayne’s Facebook Page with a “like if you hate cancer” post, just one of the most successful to date. 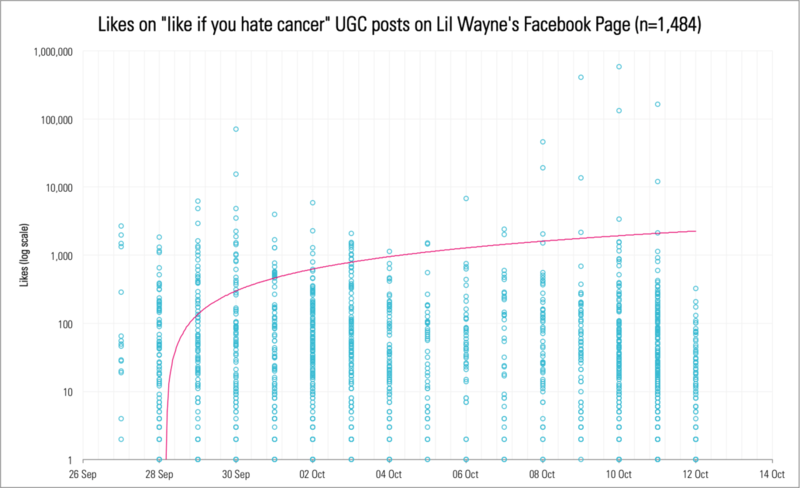 This chart shows the likes on ~1.5K user posts containing the keyword “cancer” on Lil Wayne’s Page between 27 September and 12 October. Note that four of them (including Lilquan’s) have broken the 100K likes mark.